The easiest way to update your database is to download the latest build of the program from your profile at clients.translation3000.com and install it over your existing server. The installer will update the databse automatically. 1. Run the Projetex Server Administrator, click the Database tab. 2. Click the Go offline button. 3. The current database version is displayed in the Database Version field. 4. Click Run Update Script and select the update file which updates current version to the next one. 5. 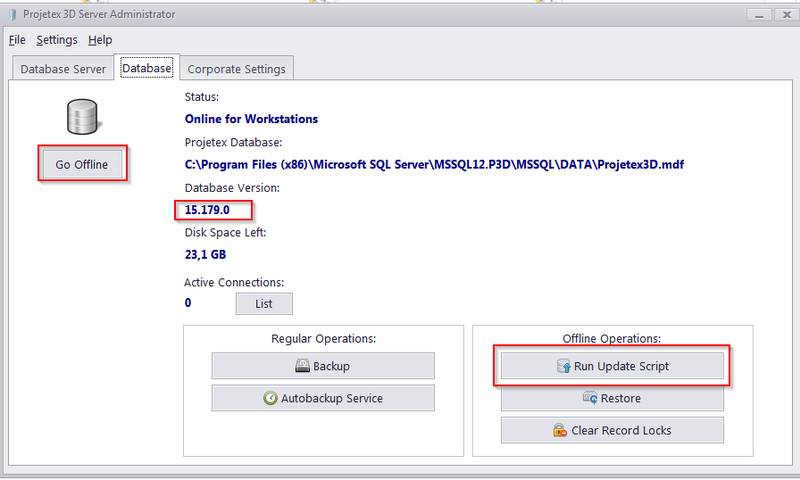 Repeat each update script until your database is updated to the latest version. If your current version is 15.175, and you need to update it to 15.177, run the dbx175to176.ptu script and then the dbx176to177.ptu script.